Although the holiday season is a fun time to celebrate, it does not last forever, so when the time comes for everything to be put away, you need to make sure it is done correctly. Take a look at these helpful tips to get your valued items stored safely until the next holiday. 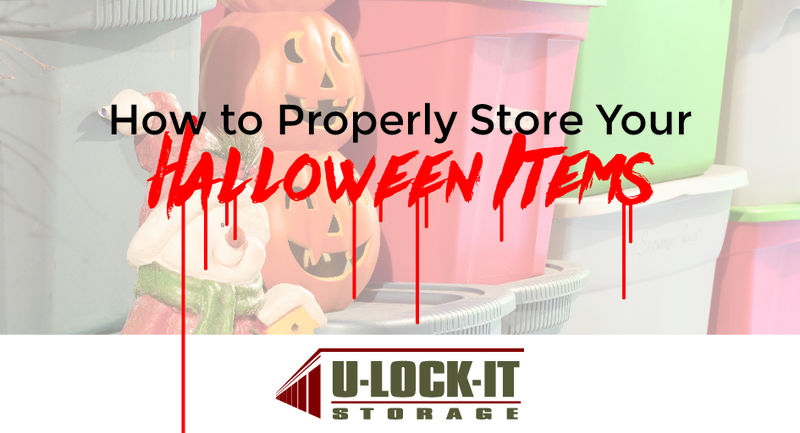 When the Halloween season is dying down or has come to an end, don’t wait to store your items. It’s better to get it over with and make room for other holiday decorations. You don’t want your items covered in dust and debris to cause further issues down the road. So make sure you go ahead and get it out of the way before you have pumpkins sitting on your porch during Christmas. For your little decorations, especially fabric and paper items, have them placed in a resealable plastic bag. This will help protect them from bugs and unwanted moisture. Exposure to either of these elements could be severely damaging. For small items that are not as fragile such as small plastic decorations and such, you can easily place them inside bigger decorations. Rather than having all sorts of items scattered around, you can have them in one location where they’re easy to find. A handy item to have with you when storing your goods no matter the holiday/season is bubble wrap. It is easy to find, doesn’t cost an arm and a leg, and can protect your valuables from potentially breaking. Similar to the resealable plastic bags, bubble wrap also prevents bugs and moisture from seeping in. It also helps a considerable amount during the actual storing process where items will be moved around a lot. Save the headache of trying to carefully avoid possible risks with bubble wrap. Although cardboard boxes work just fine, having your items in a more durable plastic container may be the better option. This is mainly because your items may be too heavy for a cardboard box to support, which could lead to damage over time. You want to make sure that everything is tucked away safe and sound in a container you can trust all year long. In situations where you have tons of decorations, whether they be for your house or other reasons, the best thing you can do is have your items color coded and/or labeled so that they are easily found when the time comes. You will feel better knowing where everything is located and that nothing gets mixed in the wrong box. If you plan on using your costumes for another time, have them cleaned before putting them away. This goes for any items that go with your costume such as wigs, masks, and more. If you have it cleaned and stored now, you will be grateful for it later. Large inflatables in your front yard make for a great decorations. However, when it’s time to store them away, it may not be so great after they’ve collected leaves and debris from sitting in your yard for so long. Before packing one away, have it power washed so that you don’t have any grime or filth mixed with your other clean items. When you are ready to store your holiday goods, make sure to contact U-Lock-It Storage. With our climate controlled units, all of your valuables will be kept safe throughout the seasons. Get in touch with us today at (256) 373-5495 to get started.